Several Swiss papers including L’Agefi just published the news that Citizen Watch of Japan has acquired La Chaux-de-Fonds based Prothor Holding SA, owner of movement specialist La Joux-Perret (formerly Jaquet SA), component maker Prototec as well as the brand Arnold & Son. The deal value was CHF64 million and expected to complete in April, according to The Deal Pipeline. Citizen is buying the company from 20 current owners who are private investors, including management. The article goes on to say surrent management led by CEO Frederic Wenger will remain. Intuitively the CHF64 million price tag seems like a good deal; but I do not know the details of La Joux-Perret’s finances. La Joux-Perret’s clients include many of the Swiss industry’s big names like Hublot, Panerai, Graham, Baume & Mercier, Corum and TAG Heuer. One of the movements La Joux-Perret is known for is the modified Valjoux 7750, to include flyback, rattrapante or tourbillon. Citizen excels at high-end electronic watches like the $4000 Satellite Wave Eco-Drive but is lacking in high-end mechanical (though it is a big maker of low-end mechanical movements under the Miyota label). Citizen’s last major purchase was Bulova in 2008, but that is a decidedly low to mid market brand. The brand has already made progress in making higher end mechanical watches with its The Citizen automatics, but this will certainly take it to another level. Interesting to see what the future holds. 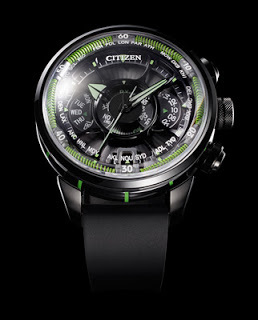 Last year Citizen unveiled the super cool Eco-Drive Satellite Wave, which could sync with GPS satellites; the watch even came with its own Appleseed XIII anime trailer. 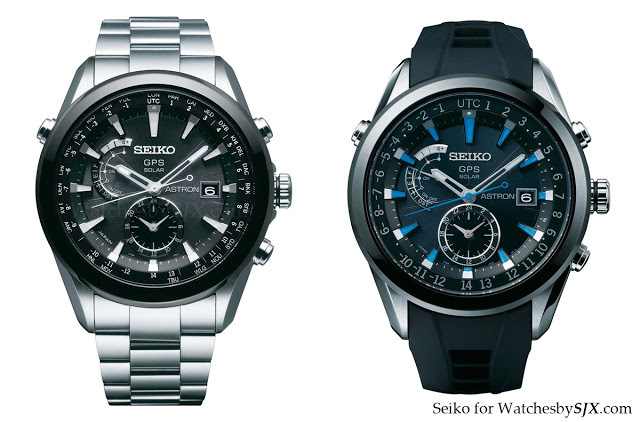 This year at Baselworld Seiko will unveil its own GPS watch, the Astron. Named after Seiko’s first quartz watch, the Astron appears to be more high-tech than the Citizen Satellite Wave. 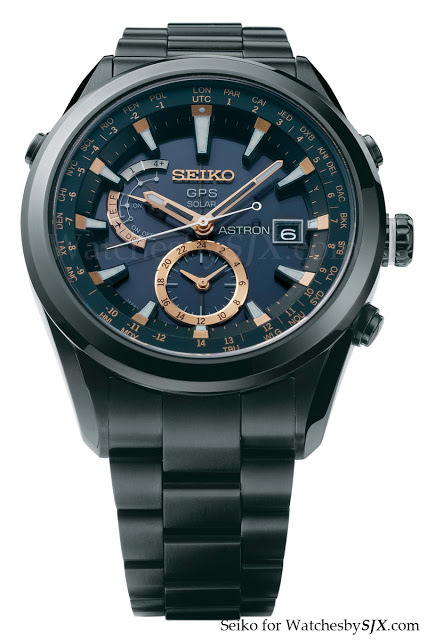 According to Seiko the Astron syncs with four or more GPS satellites daily, automatically updating the time and time zone, but the watch can also be synced manually if necessary. It takes a mere six seconds for the watch to sync, and 30 seconds for it to sync and then change time zone. It is solar powered, just like the Satellite Wave. There is no mention of the Seiko’s power reserve. In contrast the Satellite Wave will only sync once every three days, if it is exposed to sunlight, one reason why it has a 2.5 year power reserve on full charge. Furthermore the Citizen needs to be set to a different time zone manually. The Seiko has similar accuracy to the Citizen, +/- 15 seconds a month, though in practice my Satellite Wave is dead on. 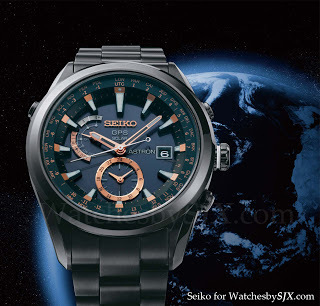 The Seiko Astron is 47 mm in diameter, and available in either steel or Seiko’s proprietary Bright titanium alloy (which is lightweight and has an unusual shine for Ti). The titanium versions are available only on bracelet, while the steel versions are on rubber straps. Notably, these retail for USD1900-2600, less than the JPY336,000 (USD4100) the Citizen retailed for. Delivery starts in September 2012. In short the Citizen is more expensive and less high-tech than the Seiko. 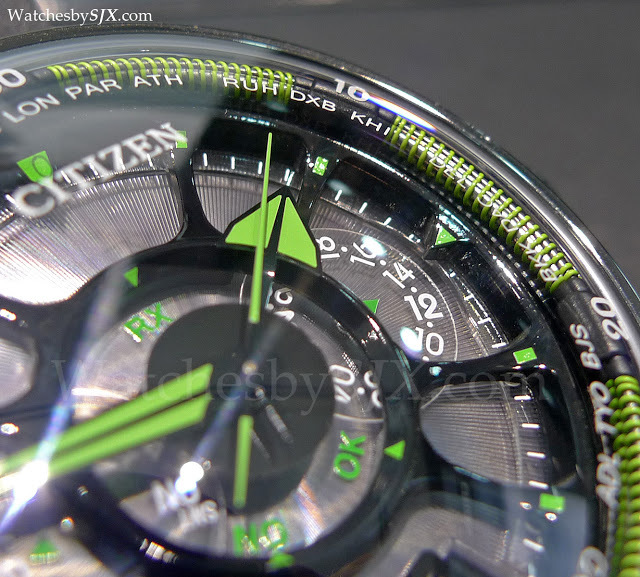 But the Citizen looks way, way cooler. The Citizen in its green and black ceramic is interesting enough to make it an attractive purchase – I bought one – but the Seiko looks boring and just like another other electronic gadget. 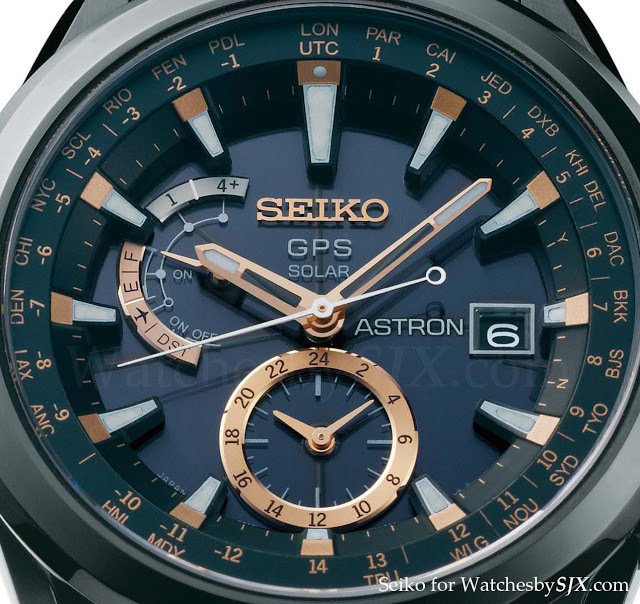 Seiko has also put up a dedicated Astron site, but it is in Japanese. 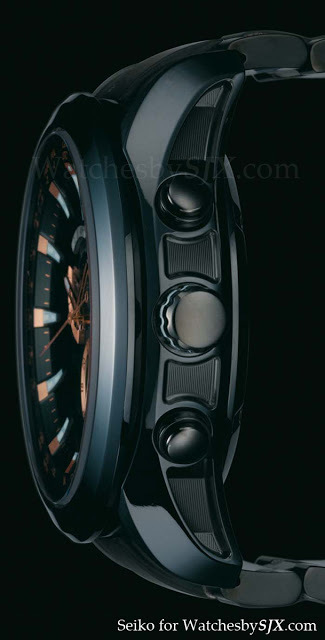 ﻿I saw this in Geneva when I visited De Bethune during SIHH but could not reveal it until now. De Bethune will officially present the DB27 Titan Hawk at Baselworld in a few days. This will be the brand’s entry level model, with a price of around CHF40,000, according to what David Zanetta told me in January. 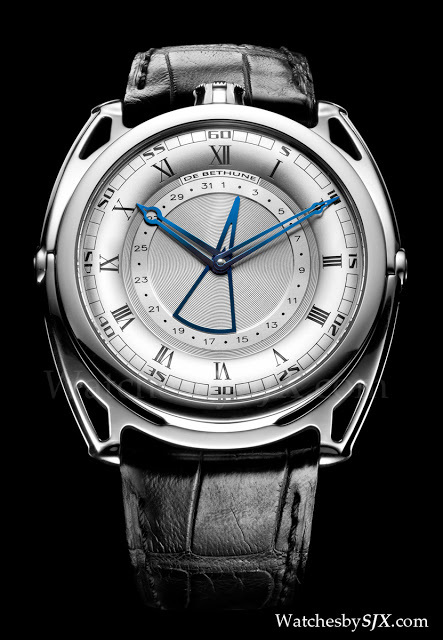 Despite being more accessibly priced, the DB27 has an in-house calibre with several of De Bethune’s patented features. The automatic S233 movement includes twins barrels with ruby plates inside the barrel to minimise friction, a silicon and white gold balance wheel, triple pare-chute shock-absorbing bridge for the balance, and a silicon escape wheel. The balance wheel is visible through a porthole in the case back. The dial centre is decorated with an ultra-fine concentric guilloche used on the Dream Watch 3 Tourbillon, and the hands are blued steel in the De Bethune style. The polished titanium case is 43 mm with De Bethune’s signature, spring-loaded floating lugs. This is a beautifully executed watch and remains true to De Bethune’s standards of quality. It lacks the sleekness of the brand’s space-age designs like the DB28T Tourbillon, or the sheer watchmaking prowess of the DB25T Dead Seconds Tourbillon. 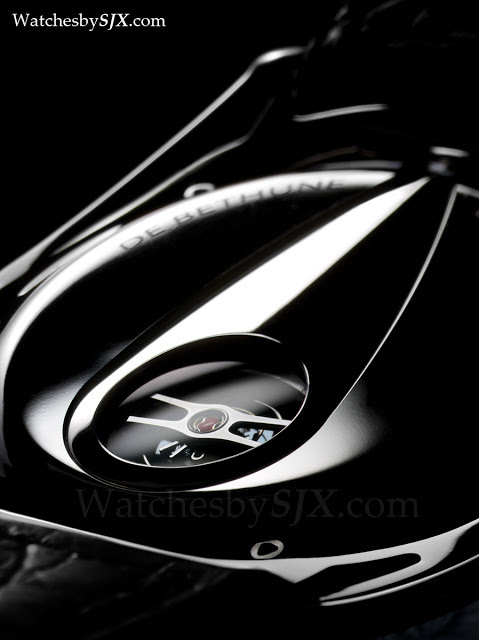 But at this price point, which is about half the next most affordable De Bethune, it is a very compelling product.